Yyyuurrggghhpphhttt!! Yawn, stretch, scratch, repeat- It's Monday, so let's have some coffee. It has been forever and a day since I've posted here and for that I apologize. I even let my domain expire and the site was down for awhile. I was distracted by my garden. I have a lot of interests. But I got the site back up, summer is over, and hopefully I'll have more to share here soon. It's a sad fact of my move to Georgia, but I don't fish nearly as much as I did in Michigan, and so material is harder to come by. I spent a lifetime getting to know the fisheries in MI, and Georgia is still nearly a blank slate to me. I'm learning that I'll have to expand my vision and take a multi-state approach. I went and kayaked the Nantahala River in North Carolina for the recent eclipse, and can't wait to go back and fish it. Talk about fishy water. The other thing I've done is begun exploring the saltwater around here. We've made four trips to Hilton Head, Tybee Island, and Panacea, Florida, and I've been actively scouting places to fly fish in the salt. Tybee has some promising spots and no shortage of redfish, but the area from St. Marks Lighthouse to Alligator Point is very promising. The so-called Nature Coast of Florida really appeals to me, as it is very reminiscent of Michigan's Upper Peninsula- lots of wildlife and fish, not a lot of people. Small, proud, gritty fishing towns that appear to have missed the economic boom elsewhere in the state. LOTS of fish. I'll try to do a post about my initial explorations soon. Hopefully it will lead to something good for you to read here. You would think I would have learned the first time, but I lost a second hard drive and a whole bunch of writing and photos with it, so I took the summer off from writing, but I'm preparing to get back at it. Not sure what it means for Fontinalis Rising, but I'll try to get back behind the wheel. I'm still working on books and novellas, which take some time and effort. I bought a new camera and I have a muskie trip coming up. The weather is cooling off already here in Georgia which means the thought of trout fishing is starting to sound good again. I have a feeling more trips to Florida are in the offing over the winter, so hopefully I'll have some good stuff to put here on FR. Louis at Gink and Gasoline is always after some fresh material, so I'm sure I'll have more stuff up there too. As stated above, this is the Hurricane Irma edition. How do you ignore that? All of Georgia is under a state of emergency, and we have a tropical storm warning in effect for the day, so I'm sitting it out today. We had family in the direct line of the storm near Sarasota. The worst seemed to skirt them, and as long as they don't get hit by storm surge they'll be ok. To any and all who went through it or have loved ones in the area, my thoughts are with you and I hope everyone gets through it ok. Ditto to the people in Texas and Louisiana. Hell, all you in the West dealing with runaway wildfires too. Stay safe, be smart, and prep yourselves for what is going to be a long recovery. Hopefully it will be over soon and the worst thing all of us have to worry about is what fly to tie on. Well, my coffee is gone and I have stuff to do. Let's get after it. I'll leave it with some fish pics, albeit fish I caught on fresh shrimp. I can't remember who howled first, the wolves or us. Myself and a couple friends made the last minute decision to head north across the Mackinac Bridge for the opening weekend of trout season. We were planning to skip trout to chase steelhead in the heart of the Hiawatha National Forest. Wild, forgotten fish decades removed from the stocking truck. We crossed the mighty bridge spanning over the Straits in the dark after work on a Friday night, loaded up on provisions at the gas station in St. Ignace, and brainstormed on a place to camp. Someone threw out the idea, "Let's try the river mouth!" When we got there, we couldn't believe what we saw. 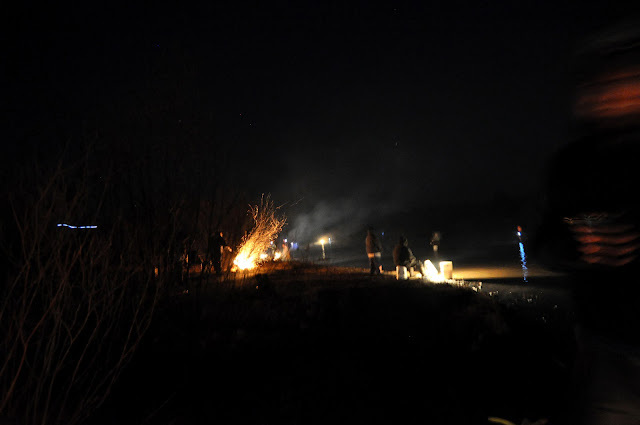 The smelt run was on, the parking lot was at capacity and both the north and south banks were lined with families and camp fires. Somehow, one of us had enough foresight to bring a smelt dipping net. If you've never seen a smelt dipping net, its a poor container for water, but the perfect tool to strain pasta-- if pasta could swim. Ethan and I rebuilt an abandoned fire while Jason faced upstream in the waist deep, black water making paddling motions with the net. Every now and then he'd look inside and pull a smelt out. A few hours later we had already drank all our beer for the weekend, but had an empty Jack Links beef jerky bag full of smelt. 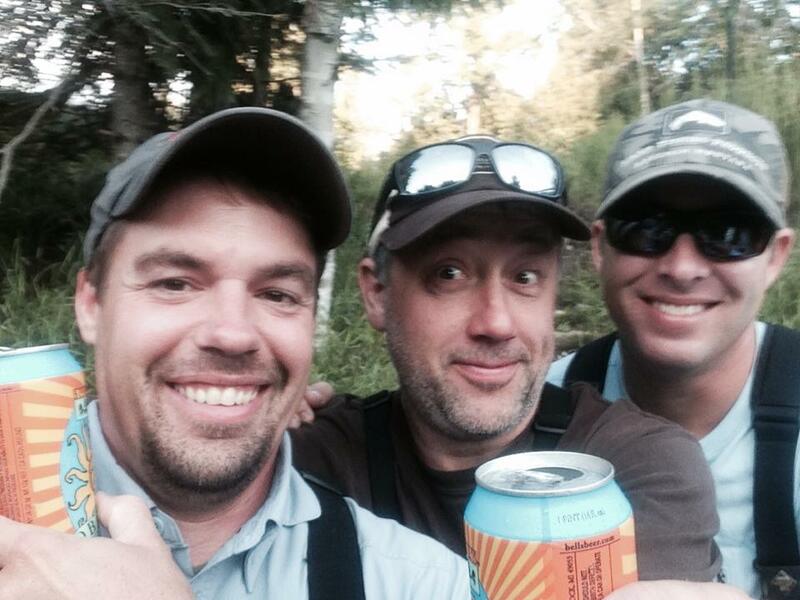 Who brings a bucket on a fly fishing trip? Since the river mouth was too populated to camp, we got in the car and drove upstream to another, more remote access. The only problem was, there was still several feet of snow on the road, unmelted because snowmobiles had packed it down through the winter. So there we were, speeding down a snowmobile trail, unable to stop or turn around, miles from pavement, out of cell range, in a Pontiac Grand Am. Almost as soon as we realized how screwed we were, we were stuck. The three of us got out of the car to investigate, and almost immediately, Ethan's dog, Luna, hit the lock button and locked us out of the still running car. I can't remember what we used to break the window, but the glass shattered into a billion pieces. We killed the motor, grabbed all of our gear, and under the pasty light of the full moon, backpacked towards camp. The low, deep, guttural moans of the wolf echoed through the cedar swamp we were staggering through. Without hesitation, one of us howled back. The howls volley'ed back and forth, only stopping after we started uncontrollably laughing at each other. We built a fire, set up camp near the river and passed out almost immediately. We were covered in ticks when we woke the next morning. The river was blown out, several weeks away from being fishable. We cooked the smelt for breakfast on a single burner stove, dug that Grand Am out with sticks, and defeated, headed back south across the bridge to find fishable water. 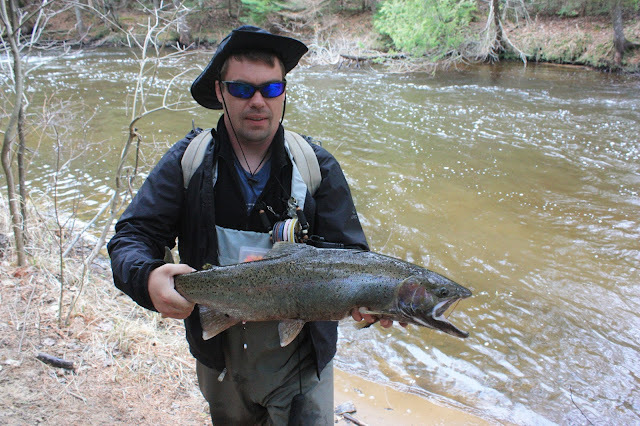 Alex Cerveniak is a writer, photographer, fly tyer, and owner of Northern Michigan Fly Fishing guide service. I have seen quite a lot on social media lately about private water. Bloggers have blogged about it, and the Trout Unlimited blog has shared two posts recently highlighting private water here and here. I believe support of pay for play private water is not a positive trend. Here's why. I have fished private water a couple of times. The first was the private pond of a guy who had been after me for a while to come fish his private paradise. He had a little spring-fed lake that he had stocked with Nipigon strain brook trout and he wanted the Fontinalis Rising guy to come fish it. Paying customers paid around $400 a day to fish it. No quid pro quo was ever explicitly stated, but I think it’s obvious that he was hoping for a little press. Only I couldn’t write it. I went and caught brook trout from 16-22” inches, all beautiful fat fish. He fed them minnows he bought from bait suppliers (he had them stocked directly into the pond) and said that despite all the fish, the bottom was crawling with crayfish that the bigger fish lived on. I never did do a blog post about it. I couldn’t. It felt wrong. 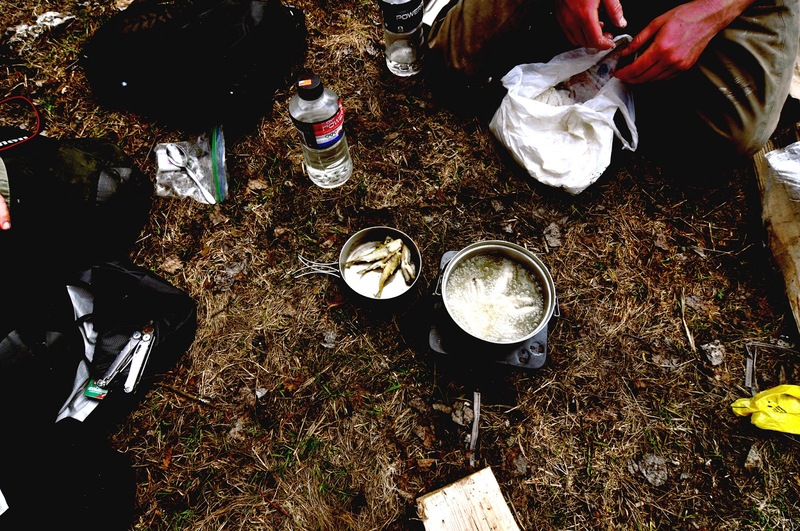 I had built my blog around fishing for wild fish in wild places, and to have this guy denigrate that experience and propose that his little lake, with his stocked and protected fish, was somehow superior to the genuine experience? It was insulting. Raising pheasants in a backyard coop doesn’t make you a great bird hunter. Fishing his little lake wasn’t a genuine experience, no matter how similar the mechanics. The other piece of private water I fished I was far more excited about. It was the private stream of a wealthy businessman in Michigan that was going to be guided by a local outfit, and a buddy of mine was running the program. He invited me to come along and check it out. What I was excited about, is that with Michigan’s liberal stream access laws, almost no water like that exists in the state. Here was water that had hardly been fished at all for maybe twenty years and hadn’t been stocked in that time. 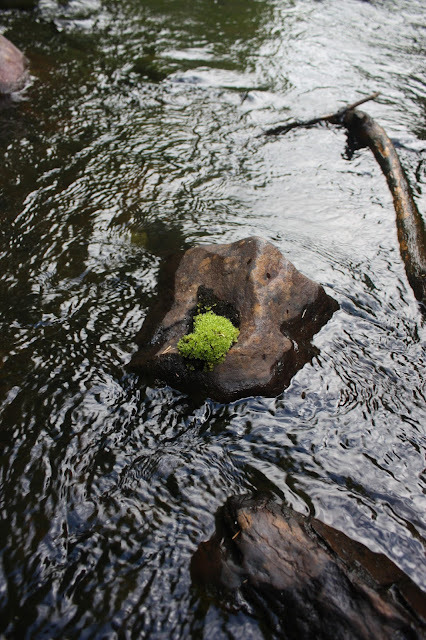 I wanted to see what a wild stream looked like when left alone, wild and un-fished. It was great. It was fishing, and we had to work for the fish we caught. We both lost fifteen inch brook trout, trophies in that part of the state. I broke off a two foot long brown that evening as the sun went down. They stocked the river with cookie cutter rainbows the next day. For me it destroyed the magic. I have since moved to the southeast, living in North Georgia. Wild trout in the state are hard to find, diminutive in size except in a handful of waters, and very difficult to come by. It requires a lot of effort to even find them, and the rewards can seem small. Private water with big fish is very easy to find, for a fee. They typically keep their waters stocked with large fish, and to keep the fish on their stretch of stream they have pellet feeders on the banks that daily dispense feed into the rivers. The banks are groomed, there’s fish in every hole, and it’s easy to have a great day catching big fish. A lot of them install wire netting at both ends of their property to keep the fish in. I'd say most of the fly fishing guides in North Georgia derive at least a portion of their income guiding this water. If there is one thing I respect in America, it’s private property rights. Georgia doesn’t allow the public to access small streams that flow through private property. It’s a shame, but it’s the law. And if Georgia allows private entities to stock their waters and feed the fish, that’s their prerogative. Ditto for guys who want to plunk down some money to fish their water. But don’t think for a moment that it is good or healthy for the sport. Here are my concerns. 1. It undermines support for public lands and wild fish. 2. It engenders false expectations concerning fish numbers and size that aren't sustainable naturally. 3. 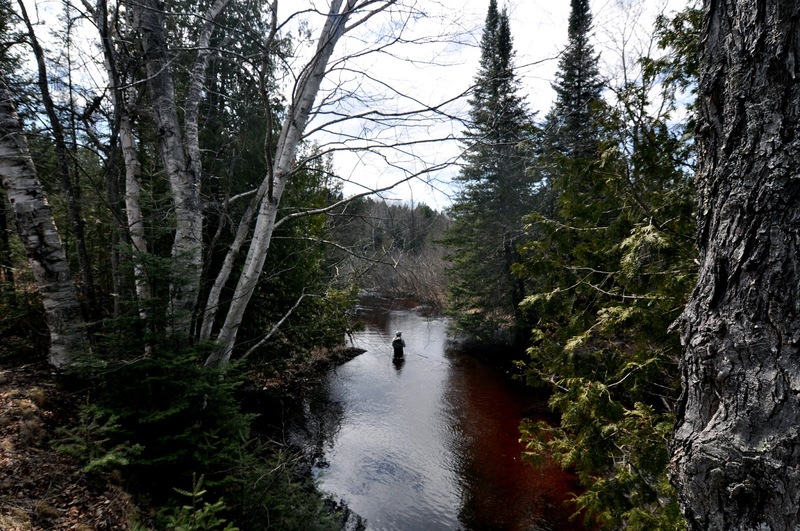 It erodes support for conservation efforts ongoing and future. 4. It undermines the notion of fair chase which is the bedrock of sporting traditions and ethics. 5. It reduces fish to being another commodity to be monetized and capitalized. Let’s take those points one at a time. Both are under attack like never before in the US. Politicians want to take our public lands and waters and sell them off to the highest bidder. Most of this is to facilitate exploitation by extraction industries, but developers are waiting in the wings too. They know how much you spend on Disney, and if they can turn public lands into a theme park they will. They’ll steal your public lands for a song and sell them back to you in experiences. Fly fishing will be another carnival ride. Like the private waters in the southeast, when sports don’t see or catch the numbers of fish they expect, they’ll stock the waters and feed the fish to meet the demand. And who needs or even wants wild fish after having experienced the big numbers and sizes of fish on a pellet farm? Wild fish tend to be smaller, they don’t hang out in plain sight, and are often harder to catch. If private water fish are what anglers are used to, or perhaps all they know, how do you get them excited about wild fish? 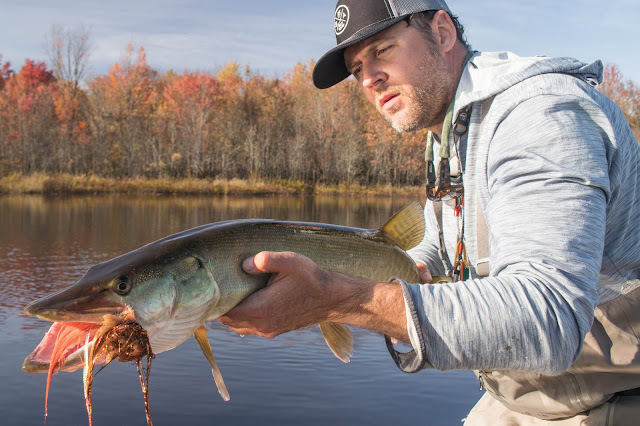 If we don’t understand and esteem the intrinsic value of wild fish, recognizing them as the foundation of the sport, then we are on shaky ground. Wild fish are losing ground to hatchery and stocked fish. Major lawsuits are being fought around the country over the insidious and damaging effects of stocked fish. For anglers to come out and say that stocked fed fish are just as much fun, just as valid a quarry as wild fish undermines support for conservation efforts, and quality fisheries everywhere. Private water operators are able to stock as many fish as they care to buy and put in the water. With supplemental feed they can maintain a very visible, catchable number of large fish. Wild fish populations and size are determined by the abundance of naturally occurring food sources, many of which fluctuate or are seasonal. This limits the distribution, number, and size of fish. 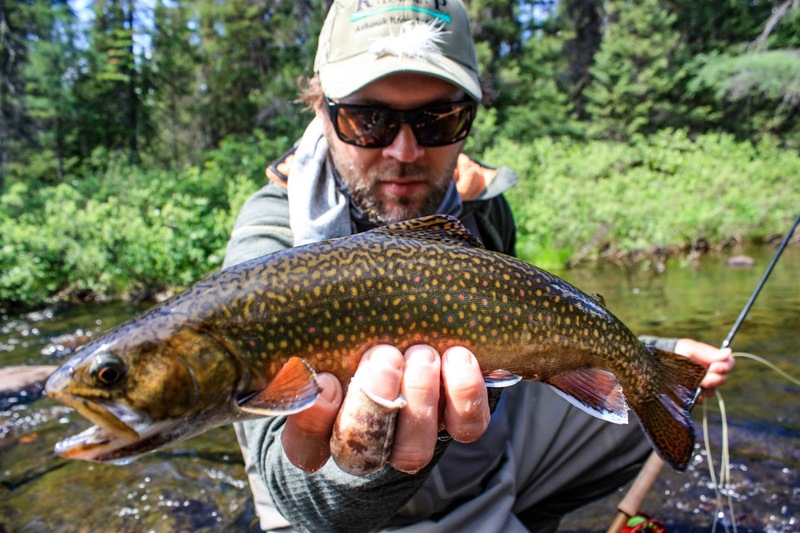 Studies in the northeast of large brook trout have shown that almost all of their annual weight gain is achieved in the month of June. 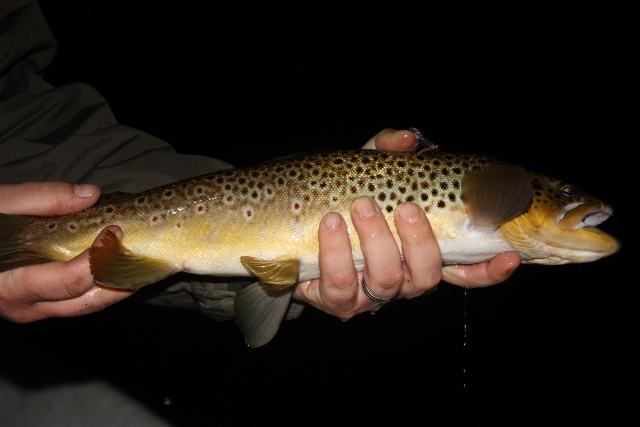 If an angler’s first or only experience is on the unnatural conditions of private water, it can be very disappointing to go to a natural stream and environment and fish more challenging conditions. Their response is often to demand that the state stock more fish, rather than learn how to catch wild fish on their own terms. A USFWS biologist I talked to said that when they go to the Upper Peninsula of Michigan and talk to anglers about restoring native Coaster brook trout, you can see their eyes glaze over and they ask “when are you going to stock more salmon.” Too much of angling is self-interested, to the detriment of wild fish and native species. Conservation battles are being waged right now across the US in efforts to protect and preserve wild fish and fisheries. Scientific evidence continues to mount that hatchery fish and stocking are detrimental to wild fish stocks. One of the factors that judges and fisheries managers weigh is public opinion and support. Societal values matter. We can’t fight in court for wild fish, and in public say that stocked fed fish on private water are just as good as wild fish. Not only is it hypocritical, but there are plenty of our opponents in court and in politics saying the same things. Politicians who want your public land and support extractive industries for instance, or proponents of hatcheries in the west and elsewhere. It will be a sad day when a federal judge reads our own words back to us as part of a decision that overturns or denies protections for wild brook trout, cutthroat trout, steelhead, or salmon. One thing I miss about hunting is the lack of ambiguity. When you squeeze the trigger or release an arrow, there is no doubt about what is about to happen. You can’t pull your arrow out of a deer and let it go. In hunting, fair chase is essential for important legal and ethical reasons. 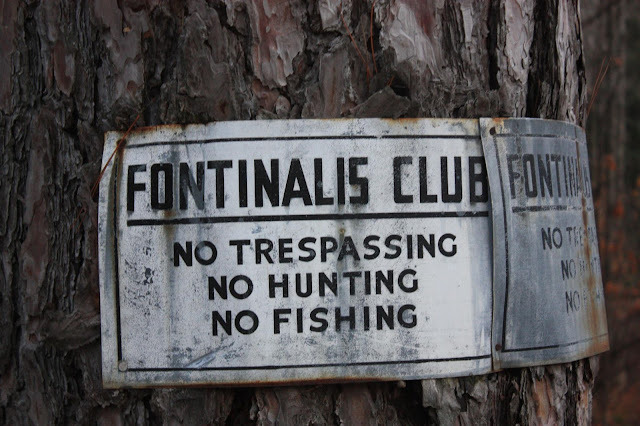 There’s a reason the Pope and Young, and Boone and Crockett clubs do not allow animals from high fence private operations in their record books. Believe me, the high fence operators have tried. The principles and ethics of fair chase are the bedrock of hunting and fishing. Catch and release has been a powerful conservation tool, but it has also served to trivialize the sport. Due to the fact that you can release fish relatively unharmed, it can be easy to see things in a relative manner. We say that since you’re releasing the fish anyway, what difference does it make? We make a false equivalence between privately stocked fish and wild fish, because the notion of fair chase no longer seems all that important. An interesting exercise to make is to change out fish species in the discussion and see what happens. Talk to a musky angler and see if he’s interested in hunting artificially high numbers of musky that are given supplemental feed. Ditto permit or bonefish or tarpon. Are stocked tame fish just as good as wild, or have we devalued trout in our own minds so much that it no longer matters to us? 5. It reduces fish and fishing to being another commodity to be monetized and capitalized. Capitalism is a great system for creating and distributing wealth, especially when pursued under a fair set of rules that apply to everyone. Some proponents think that everything should be privatized so that market forces can prevail and benefit everyone. But there are limits to everything, including the benefits and rightness of capitalism. For instance, you could sell your children, and the argument can be made that a market exists. But no one in their right mind will say that it’s right to do so, and as a matter of fact our society will send you to prison if you try. There’s a lot of people out there, politicians and corporations, who believe private enterprise and free markets should rule the outdoors. Let our fish and game go to the highest bidder. Sell your public lands and privatize hunting and fishing. When they see angler dollars spent on pay to play clubs, they see a market already at work that they wish to expand to all the outdoors. There are also many voices in the outdoor world who tout the economic value of fish, game, and outdoor recreation. It’s a useful, but two-edged argument. 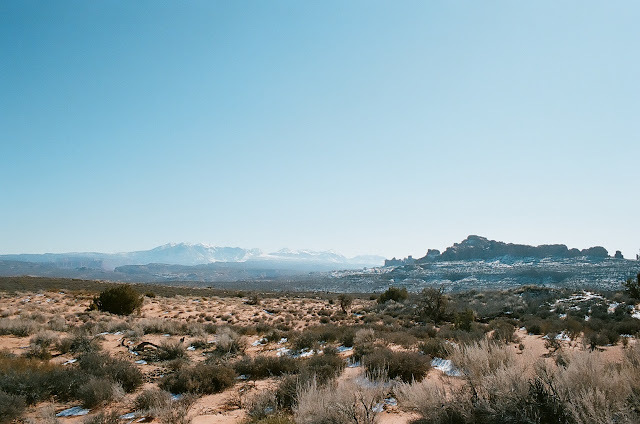 Public lands and wildlife are extremely valuable for a plethora of reasons. But at some point we have to recognize and protect at all costs, their intrinsic value. At some point we have to say that no amount of gold in the Bristol Bay watershed is worth the risk of destroying the wilderness and fisheries there. At some point we have to step back from human valuations on wild things, whether it be monetary, recreational or otherwise, and recognize the right of wild creatures and places to exist and be protected from us. This is their home too. A continued anthropocentric view of the earth and wild things will lead to its ultimate destruction, and possibly our own demise. We are the cleverest, most deadly animal ever to walk this planet, able to manipulate it in ways never before possible by any other species. But at a certain point we have to face the fact that we are still part of the ecosystem, and that our very survival is dependent on the natural world around us. The monetization of fish and wildlife ultimately serves to cheapen and debase them. Just like any mineral we’ve strip mined, when we have extracted all the value we can from them, we’ll toss them aside. Without recognizing and defending the intrinsic value of wildlife and wild places, their absolute right to exist apart from human valuation, they are all lost. Private water with stocked, fed fish will probably always exist, but like a stream cutting through bedrock, it's slowly eroding the foundations of the sport. My good friend Dave has a lot of great tales to tell, taken from a lifetime of fishing his home waters in Northern Michigan, all over the US, and the world. He also dedicated a lot of his life to conservation, in particular through his involvement with Trout Unlimited, having served on state and national councils. One of my favorite stories Dave told is how TU, at least in Michigan, had started to go off track. A lot of the membership were upset about fly anglers using the Clouser Minnow. This newfangled fly, they argued, was little more than a jig pretending to be a fly. They wanted it literally outlawed, at least from fly water. Dave came in and helped reset the tone and vision for TU- that they weren’t out to define what fly fishing was or wasn’t, but that TU needed to stay focused on protecting and promoting clean, clear water, and wild trout. He saw petty squabbling about which flies were really flies for what it was- a distraction. Something that takes away from, rather than adding to the sport or the conservation mission of Trout Unlimited. - Tenkara isn’t really fly fishing. (and proponents insist it is a purer form). - If you use egg flies you might as well use bait. - Articulated streamers and streamers with multiple hooks are really lures and should be outlawed in fly water. 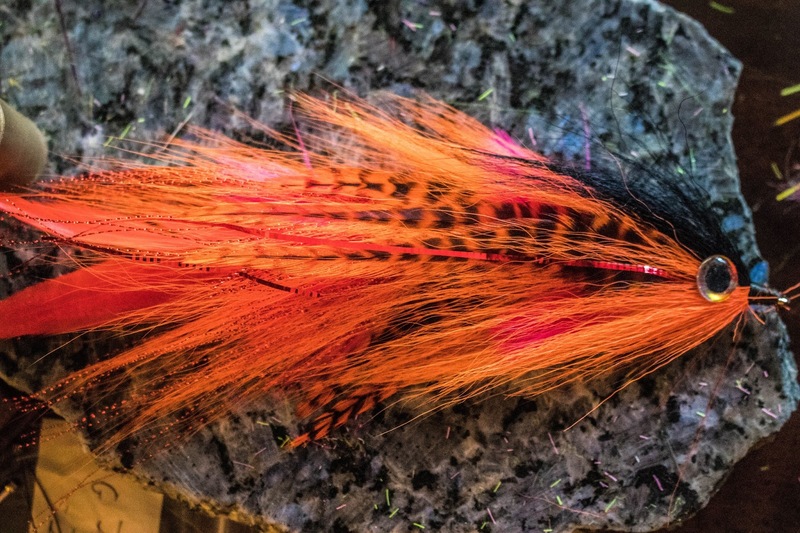 - Spey or Skagit style “swinging” for steelhead is the purest way to pursue them. Never mind almost no one had heard of it in the US 30 years ago. - Chuck and duck (bottom bouncing) isn’t fly fishing. - Dry flies are the only right way to fly fish. - Mousing isn’t fair and should be outlawed. - Indicators are bobber fishing and don’t belong in the fly world. I could probably go on but you get the point. There is definitely a place for purism in fly fishing. There is nothing more beautiful than having people who are so passionate about the sport, that they take it, improve it, make it even more beautiful than it was before. They focus on one part of the sport that they love and elevate it to an art form. 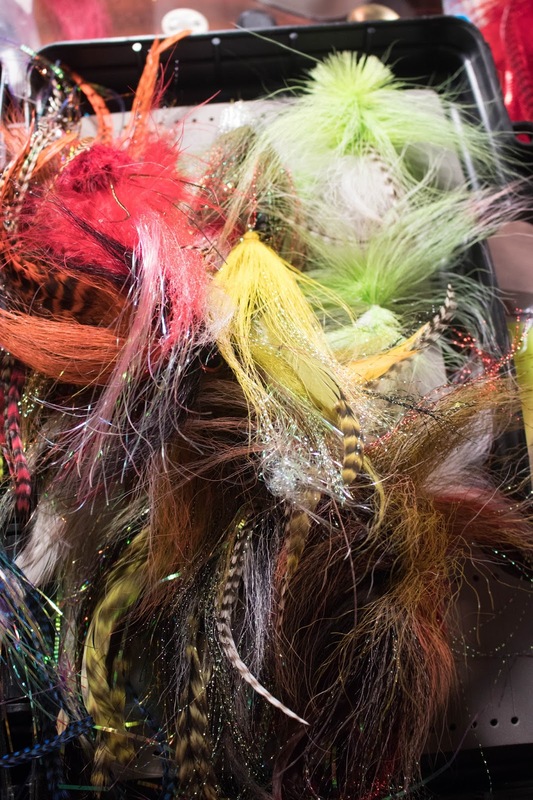 Consider fly tying. My skills at the vise are rudimentary at best. But there are hundreds of people out there who are passionate tyers, and new and improved versions of flies are coming out all the time. When I see beautiful creations like the shaved deer hair flies of guys like Steven Wascher, or the original work by Northern Michigan tyer John Sheets, I shake my head and marvel. My tying is functional- my flies catch fish. 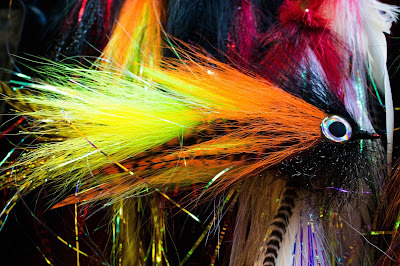 Their flies are an art form. You can say ditto for all the passionate people out there working at different aspects of this sport. The rod builders, reel designers, artists, gear manufacturers, boat builders, casting instructors, fishing instructors, guides and outfitters. All focused on one aspect of the sport, improving it, making it better because they ARE purists. There is also nothing uglier than when people are so passionate about what they do and believe in, that they denigrate others who do not do or feel the same way they do. They begin to see their pursuit of the sport as the only “right” way. The others just don’t get it. They snub people who don’t see things their way. Starting out fly fishing, all of us are excited just to catch a fish, or even to make a decent cast. All of us are in one of these stages of the sport: first we just want to catch a fish, then we want to catch lots of fish, then we want to catch big fish, then we are just happy to be out there. At some point it becomes easy for us to forget our own arc, our own learning curve, and become critical of how others learn, view, and pursue the sport. No matter how far down the rabbit hole we've gone, we forget all that came in between, the timeline of our own progress. For many of us it didn’t even begin with flies- we were bait fishermen, gear guys or gals. We ate fish. Some of us still do. What is particularly distressing to see is when we become critical of others engaged in the legal pursuit of fish, whether this means that they still gear or bait fish, take home a legal limit of fish from time to time, or use methods and gear we personally find distasteful. In the age of social media it becomes an occasion to harass or bully people who don’t live up to our personal standard. I haven’t personally used a worm on a trout stream since I was a kid (I fished spinners for years), but as long as they are legally practicing the sport, I’m not going to criticize bait fishermen. If I want them to respect my pursuit of fish, then I have to respect theirs. 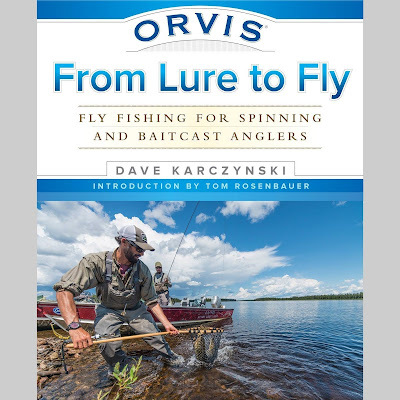 There are times when a worm out-fishes everything, but what I’ve come to recognize is that fly fishing is a far more natural way to present an offering, and I believe firmly that on most days I out-fish bait fishermen. But I still respect their legal right and even ethical basis to fish the way they do. The same goes for eating fish. I have nothing to say to anyone who keeps a fish as long as it is legal to do so. Fish are still good food, and it was the pursuit of food that brought humans to the rivers in the first place. How fishing got so far off-track that some would denigrate others for keeping fish is beyond me. Catch and release fishing can be a powerful conservation tool, but it is no panacea, and not everyone (including the country of Germany) agrees with the ethics of hurting fish for our entertainment and letting them go. We all have to live with ourselves at the end of the day, and if releasing fish makes you feel better, that’s your choice, but it is up to state wildlife agencies to monitor fish populations and set limits. The harassment on social media of anglers who legally keep fish is really ugly, and undermines our sport far more than the fish that angler kept. Fly fishing has always had a reputation for elitism and purism. For some it is what draws them to the sport, for a lot of other people it is what puts them off. Some come to the sport wanting to challenge themselves, learn new skills, or fish in what they see as a more natural manner, appealing to the natural feeding patterns of the fish rather than just fishing a worm or spawn. Others like the feeling of being in an exclusive club. Whatever your motivations, don’t ever forget your roots, or the roots of the sport. No matter how deep you go into the sport, or how esoteric your pursuit, don’t forget that in the end we’re all just fishing. A little humility can go a long way, especially if we want to promote the sport or draw others to it. Fly fishing needs that. It needs humility, it needs to continually draw new people. The fish and the rivers need it as well, and in the current climate of political hostility toward clean water, natural resources and public lands, fly fishing needs to link arms with sportsmen and women of all stripes. We certainly won’t prevail if we are taken down internally because of petty squabbles over our personal views of fly fishing, and especially if we think we are too good to show respect to others engaged in their lawful and ethical pursuit of the outdoors. By the definition quoted above, chuck and duck is not fly fishing. Chuck and duck, or bottom bouncing, uses a running line to cut through the water and get down to the bottom quickly. The set up is typically a running line with a sliding weight, a swivel to stop the weight, and then a length of leader with the fly attached. There are a number of variations to this including the use of slinkies, or other means to try to make the weight snag free. 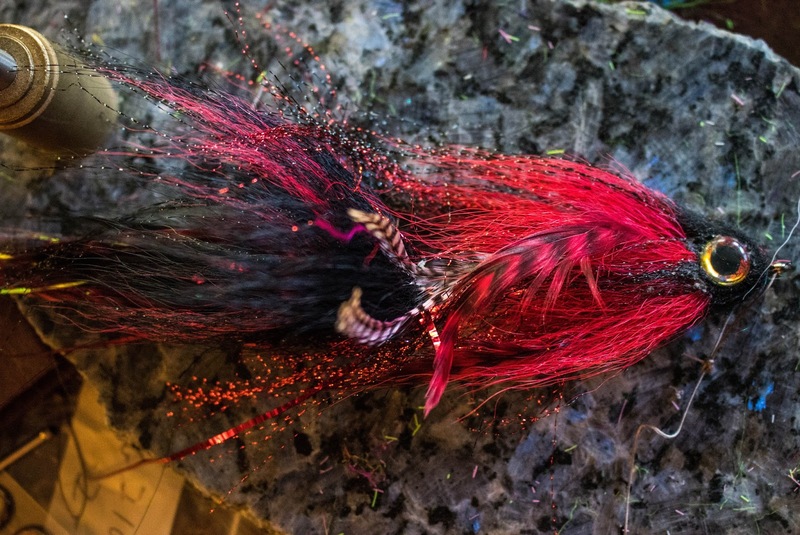 The whole goal is to get your fly down to the bottom as quickly as possible and keep it there, then bounce it along the bottom so that your fly drifts with the current. It can be a very effective method of fishing for steelhead, especially when they are not active or suspended in the current. Because the running line has no weight to cast a fly, the whole contraption has to be pitched unceremoniously into the river, and thus the name chuck n duck. When I was first interested in fly fishing for steelhead and salmon, a friend of mine showed me his chuck n duck rig. It was back when Amnesia running line was all the rage. I didn’t question it back then, and there was quite a period of time when if you were talking about fly fishing for steelhead in Michigan, you were talking about chuck n duck. Then indicator fishing caught on and that was all the rage. 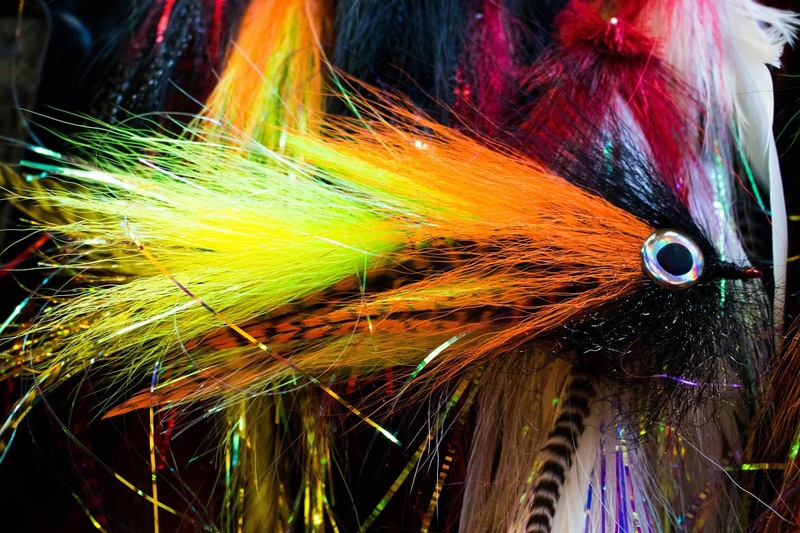 Now Spey and Skagit style casting have taken the steelhead world by storm. All the cool kids are doing it. It has become de rigeur to label chuck n duck as ugly or even unethical. 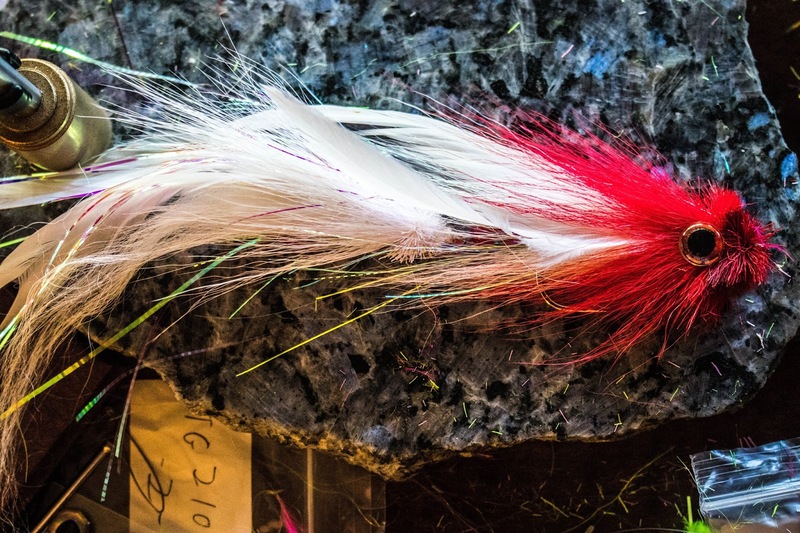 Swinging Spey flies on two-handed rigs is the only way to fish. But that is not true, and it’s not true for everyone. The first thing to note is that all three techniques work and shine in their own rights. They all work in different ways, and there are times when each out-performs the others. Take for instance a late winter/ early spring warm up before the main run. Melting snow and a shot of rain have brought in some fish, and they are on the move. This is a great time to fish indicators. The fish are suspended or at least will come up to take a fly drifting under a bobber. Great. If the water is high and turbid however, the fish will be hugging bottom, and the ripping current will make indicator fishing very difficult. This is when chuck n duck shines. It gets your flies down fast into the fish zone and keeps it there throughout the drift. If you aren’t ticking the bottom, just add weight. The water you fish makes a huge difference as well. Spey and Skagit style casting are made for fishing large wide rivers. 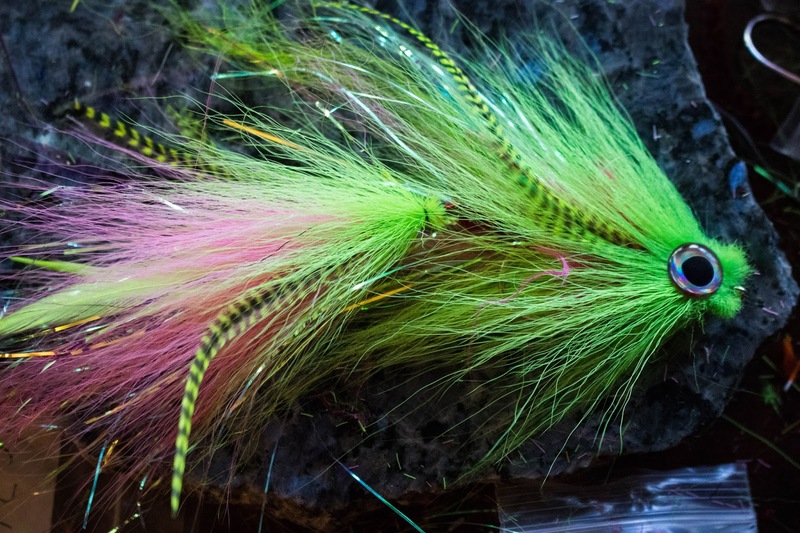 Where indicator and chuck n duck fishing allows you tear apart individual pieces of holding water, Spey casting allows you to fish the whole river, searching for active fish willing to hit a streamer. But the rivers I fish in northern Michigan are quite small and shallow. Belting a hundred foot Skagit cast will land you sixty feet into the brush. You don’t so much swing as dangle the fly and drift it back and forth. I know guys who do this, but it’s a far cry from the beautiful, elegant long distance casting Spey casting is designed for. The technique that shines in my fast, shallow small streams is chuck n duck. Chuck n duck is a technique, no more and no less than other forms of fishing. If you find it aesthetically distasteful, then that’s your prerogative. When I was introduced to fly fishing for steelhead in Michigan it’s the technique I was taught. Nobody told me it was bad or undesirable. It was just how you did it. Then indicator fishing swept through the state and is still widely practiced. I would say it is a slightly elevated way to fish, as it employs an actual fly line (see quote above; line manufacturers produce fly lines for indicator fishing), and there is a bit more technique to the rigging, casting and mending to get a clean drift. The latest and greatest technique that everyone has been piling onto in the steelhead world for some time is Spey/Skagit style fishing, and that’s great, but it is a whole system and world unto itself. It employs completely different rods, lines, reels and flies. If you’re going to fish this way it will require laying out yet again a small pile of Benjamins, buying or learning to tie new flies, and learning a completely different set of casting skills that have their own learning curve. It requires fishing different water, and also has its own river etiquette. If you’re fishing crowded water that attracts a variety of anglers you may be SOL. And if, like me, all the water close to hand is small stream fishing that wouldn’t allow you to deploy more than your Skagit head out of the rod, it’s an awful lot of time and money spent on something you’ll rarely use. The biggest accusation I hear against chuck n duck is when I hear it called “flossing”. I’ve heard guides assert that fish aren’t biting a chuck n duck rig but are merely getting the leader caught in their mouths and incidentally hooked. In other words, it is tantamount to snagging. 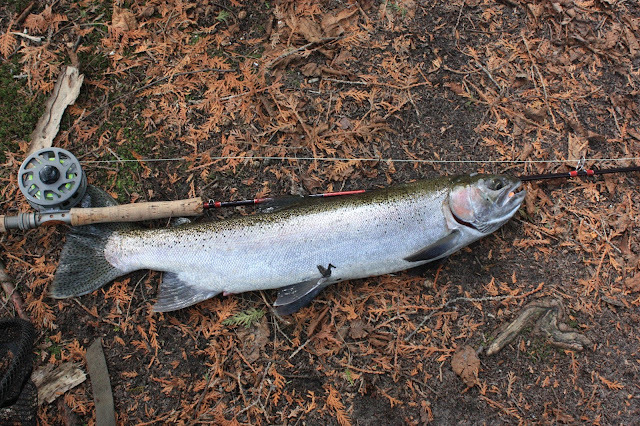 Unfortunately I have witnessed guys fishing to spawning steelhead or salmon on gravel and using it to snag them. If you are this kind of angler there is nothing I can do to help you. You’re not a fisherman anyway, you’re a snagger. There are plenty of other techniques out there that can likewise be used to fish unethically or illegally. Personally, I fish dark water where I typically can’t see the fish. All of my fish are typically hooked in the corner of the mouth in the same manner as any other method. I’m chucking eggs and nymphs and small bugger variations, the same flies they eat employing the other techniques. The attempts by some to smear the technique as unethical because they see individuals using it to snag fall on my deaf ears. Those same individuals would still try to snag fish off gravel using any means they could. I don’t do it and neither should you. Why employ the technique? Because it works. There are times and places to go to the river, Spey gear in hand, and not catch fish, and there are times to take your chuck rig and catch some. There are times when you can fish the same terminal rigging with a fly line, and the fact that it keeps your fly a few inches off the bottom will keep you from catching fish. Switch to a running line and it will sink to the bottom and you’ll have a good day. They say a specialist is someone who knows more and more about less and less until he knows everything about nothing. The same could be true of fly fishing, in which your pursuit becomes so esoteric that you're no longer fishing. There is of course the issue of aesthetics, which is a whole discussion in itself. After all, the practice of fly fishing is a way of limiting yourself in exchange for a more aesthetically pleasing experience. But it is possible to extend that to the point where you’re no longer fishing. 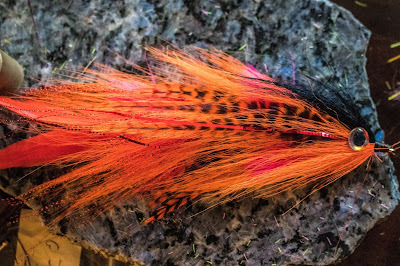 Spey and Skagit techniques are lauded as the most elegant, difficult, satisfying and “pure” method of fishing for steelhead. It is also severely limiting. When you’re surrounded by small waters not conducive to such, your choice can be to make an investment in time and travel any time you want to fish, or stay home and stare out the windows. I’d rather take my chuck rig and go fishing. Sometimes you want to catch fish. Sometimes you want to eat fish, and in the Great Lakes, where steelhead are an introduced species and in no danger (if they are the DNR will stock more), that’s perfectly fine. The point to all this is to say- don’t hate chuck n duck. It’s just another technique. If you choose not to practice it that’s your prerogative. If you see unethical behavior on the river, call those people out or call law enforcement. If it’s a cold winter day and you just want to beat the drear and go catch a fish, grab your chuck rig and go. Don’t let anyone stop you. For rigging notes and some other thoughts on the subject check out this post by Third Coast Fly. Author's note- I lost a hard drive and all these photos are quite old. At least two of these fish went home with me, so keep em' wet wasn't part of the equation. *Another note: I happen to agree with Brandon Robinson's observation above, at least in the technical sense. Jamie Simpson is a regular guy, working a job in his hometown in North Carolina, until the day that he wins the lottery. He's determined not to change, but before he even gets the money his whole life is turned upside down. With time and money on his hands there is only one place he thinks he can go to figure it all out- Alaska. There he discovers new friends, an enigmatic lover and newfound adventure, but will the price be too much to pay? So that's the gist of a short story I wrote. It's meant to be a novella, and I think it's a pretty good story. What matters is whether you think it's a good story. I'm using it to play around with self-publishing. I'm planning on it being a series of novellas, and when they're done I'll combine them into a book and release a paperback, or that's the plan. To keep it simple I'm only releasing it on Amazon Kindle, but if you don't own one you can still download it to your phone, tablet or laptop and read it. After my exclusivity clause runs out, I'll run it on other platforms like Nook too. I've always wanted to explore the idea of a character who wins the lottery. No one feels sorry for them, but more often than not in real life the money brings winners a world of grief rather than happiness, and I thought I'd explore what it's like to try to deal with such fortune and still hang onto your identity and humanity. 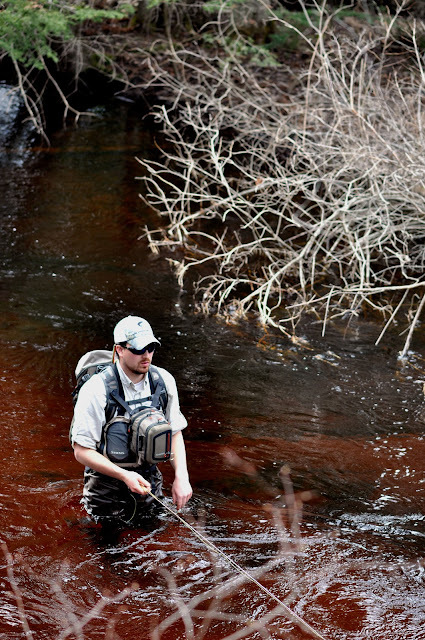 Fly fishing plays a major role without being a central "character" if you will. It serves more as a backdrop. There is some adult content, and if you're sensitive to that don't buy it, or flip forward past it if you must, but we're all adults. My style is adult but not graphic. I'm excited about the project and hope you enjoy it too. If you enjoy the story, please leave a review on Amazon and for that matter leave a review if you don't like it. Be specific. Help me learn and grow as a writer. If you do enjoy it and are so inclined, please share it through your social media, and help a poor writer out. Here's the link below. Thanks for supporting my writing and this blog. It is very much appreciated. WwwuurrrgGGPPPhhhtttTTT! Yawn, stretch, scratch, repeat! 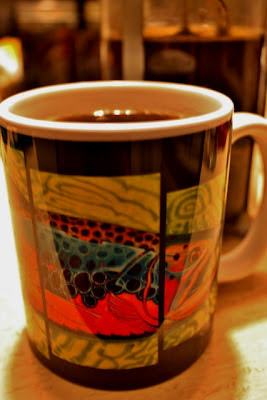 It is yet again another Monday, so let's have some coffee. Well, winter here in Georgia stretches on with no end in sight. It's been in the mid- 60's to low 70's almost everyday, and the natives can't wait for it to be over. Not sure who I'm joshing more here- Georgians huddled up in heavy coats and boots, or you in the northern states who won't see those temps for a few months yet, but I'm an equal opportunity eye poker. I don't have any new fishing to report, due to the fact that I'm suffering from my fourth virus since November, and I've been feeling ill from antibiotics I'm taking because of a sliver I drove almost all the way through my hand, that forced me to go see a doc and get a tetanus shot too. I haven't taken antibiotics in nearly twenty years, and I don't tolerate them well. That sliver went in the palm and was pushing the skin out on the back side of my hand, and hurt like hell. I guess it goes without saying that I don't hurt myself very much, have never had major surgery or broke a bone or given birth to a child. We all have our cross to bear. We did get out to the Atlanta Fly Fishing Show on Saturday for a couple of hours and got to put some faces to names, and hopefully not spread our diseases to unwitting victims. We ran into Jen Ripple of Dun magazine and A Tight Loop. Kurt Kopala from ATL was there too, but we didn't get the chance to meet him. We've talked in the past about me contributing to ATL, but somehow never made it happen. It's a good online mag focused on upper Midwest fly fishing. Dun, an emag focused on women in fly fishing, is about to go paper, so look for that in a shop near you soon. We then talked to Scott Thompson and legendary permit guide Lincoln Westby of Blue Horizon Belize, and I have to admit to being a little star struck. Mr. Lincoln, if you read this, if I looked like I didn't understand everything you said it's because my hearing is bad, especially in a busy room like that. They have us considering a vacation down there as they said there would be plenty for my girlfriend Marsha to do too- lots of beaches to hang out on, and they could run her to various spots for some tasty bottom fish that could be brought back and eaten. Going there as an option definitely went up in the rankings. Cameron Mortenson of The Fiberglass Manifesto went and fished there last year and you can read about it here, here and here. I had a nice conversation with Kyle Shea of Deneki. 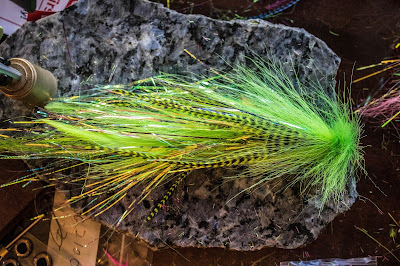 I have been getting the Deneki newsletter every week in my email for several years, and it is one of the best sources of fly fishing info out there. Kyle does a really good job with it. He walks a fine line between selling their fishing and lodges (two in Alaska, and one each in British Columbia and the Bahamas) and sharing information that is useful to anyone, and I've always felt he does an excellent job. No hard sales, just lots of great information on fly fishing, and if it one day moves you to fish with them, then click on the link. You should be getting this newsletter every week. It's easy to sign up, so go do it. I ran into Justin Pickett of Gink and Gasoline, who I have fished with a couple times, and Aaron Tyre of River Through Atlanta guide service who keeps threatening to go fish together, but we haven't made it happen yet. These guys have a gold mine in the Chattahoochee flowing right through Atlanta. It's a tailwater that actually has some wild, naturally reproducing brown trout in it, some of which can push the 30 inch mark. It's a big river and tough to access in places, with rapids and shoals in spots that are tough to navigate, and the challenges you would expect of an urban stream in the Deep South, but I think these guys have a good thing going. It was cool to see the Stealthcraft Boats display, with the Hooligan XL raft on display, which I personally watched my buddy Brett Watson develop from the ground up. 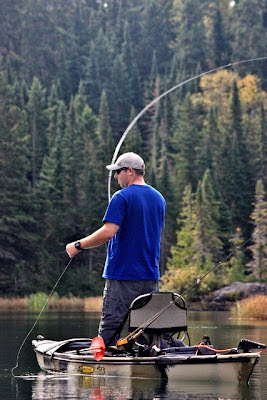 We spent a lot of days fishing the prototypes on some tight little Michigan streams and caught some nice fish. I should add that I'm not endorsed by any of these companies or websites, I'm just sharing cool stuff I saw and the people I enjoyed talking to at the show. Now for some self-promotion. I wrote a short fiction story called "Stones in the River" and used it to play around with self-publishing. If you want to support a starving artist click on the link and give it a read. I think it's a good story, and I'm interested to see if you do too. Yes it involves fly fishing. Unlike a GoFundMe campaign, you actually get something in exchange. I've put it on Amazon Kindle for now. If you don't own a Kindle you can still download the file and read it on any electronic device you have. I hope you enjoy it. I'll probably do a blog post on it tomorrow. In addition I actually have two blog posts coming up on issues I don't think will play well on the other outlets I write for. One called "Don't Hate Chuck n Duck" on a useful but much maligned technique, and the other addresses the chumming controversy in Michigan that has gone on for too long. If that's not enough, I'll have a post on Atlantic salmon farming on Gink and Gasoline soon, and an interview of leather artist Lee Slikkers that should go up on MidCurrent. And I'm working on four different books and hope to finish at least one by spring. Thanks for reading my work, and for understanding why things are so sparse here at FR anymore. Well, my coffee is done and cold, and I still have an actual paying job to do, so thanks for sharing a cup with me. Mr. Westby- if you succumb to body aches and a mysterious fever that strikes in the evening, I'm sorry.